Arizona is known as the state based on four C's: copper, cotton, cattle and citrus. Commercial crops of citrus are still produced including several varieties of oranges, as well as limes, grapefruits and lemons. While housing developments have replaced many citrus groves, it's still an important crop; and, for that reason, citrus trees are not allowed to be imported to the state from out-of-state sources. Dwarf fruit trees are much smaller than standard trees but still produce normal-size fruit. In some cases the tree is bred to become smaller and smaller. In other cases a normal fruit tree is grafted onto a dwarf trunk and root system. Finally, normal citrus trees are grown where their root systems are confined and they are pruned severely so they don't reach normal size, much in the same way bonsai trees are maintained. All citrus trees, whether dwarf or standard, in Arizona are grafted onto sour orange stock because that stock is resistant to diseases. Sour orange is not edible; the fruit is very pithy with little actual fruit cells and, as the name says, sour. Citrus fruits includes lemons, limes, oranges, grapefruit as well as less common fruits such as tangelos, tangerines and kumquats. 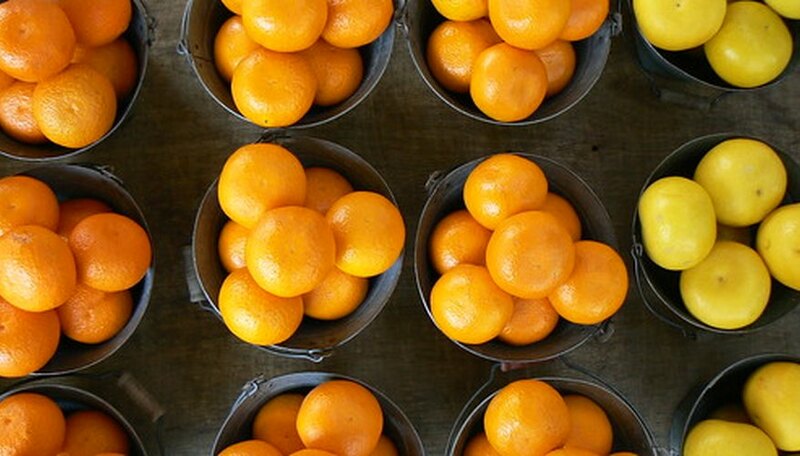 Citrus is actually a kind of berry, rather than a fruit like apples (a pome fruit) or peaches (stone fruits). Dwarf citrus trees are trees that have a sour orange root stock grafted to a dwarf trunk, which limits how tall the tree grows, grafted to a variety of citrus, such as lemon. Standard citrus trees only have one graft. The sour orange root stock is grafted to the trunk of the variety of citrus. In the colder areas of Arizona where the temperature regularly reaches freezing and below such as Flagstaff, Prescott, Payson, Show Low, and Mt. Lemon, dwarf citrus are grown in containers outside during the summer and then brought inside during the colder months. If planted outside in Central and Southern Arizona the care for dwarf citrus trees is the same as for standard citrus trees: Water well and deeply every week during the summer and every few weeks during the winter. Fertilize twice a year, once in February and again in May with a fertilizer developed for citrus. Harvest the fruit before it falls on the ground so it doesn't attract rats and other animals. In cold winter areas of Arizona, keep the dwarf citrus trees outside where it receives at least eight hours of sunlight per day during the warm months. Bring inside well before the average date of first frost and keep in direct light. By a west or south window is best. Pollinate the fruit by hand since there aren't any bees or other insects to do that job indoors. Dwarf citrus trees in Arizona ripen at the same time as standard citrus trees. Oranges ripen in December, lemons from May until September, and limes produce continuously throughout most of the year with a large crop which ripens in September through October.